One look down the list might surprise butterfly enthusiasts who never thought of Nevada as a butterfly hot spot. 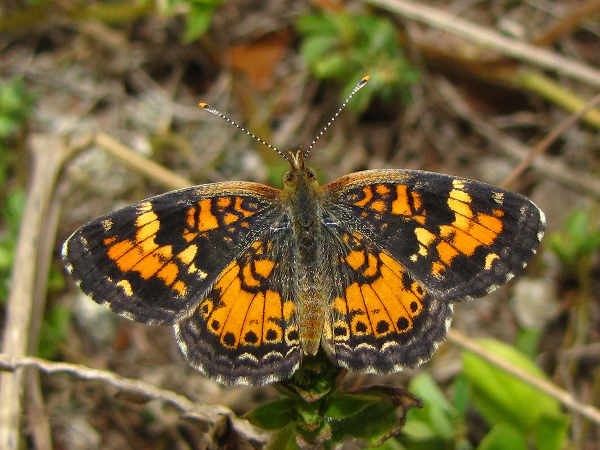 The types of butterflies in Nevada are dependent on Nevada Geography. From the eastern slopes of the Sierra Nevada Mountains to the Toiyabe Range in Central Nevada to the deserts and the large metropolitan areas like Las Vegas, butterflies abound. This introduction to Nevada butterflies provides a list of the species in the state arranged according to family. Fortunately for butterfly identification purposes, most of the families are differentiated by wing color. Limited space means only a few butterfly pictures can be presented here. Visitors looking for additional butterfly pictures and identification help can press the green butterfly button for more information. All four or the Orangetips look similar, they have different geographical locations in the state. Look for a white butterfly with orange spots on the top of the wings in early spring in the valleys and early summer in the mountains. 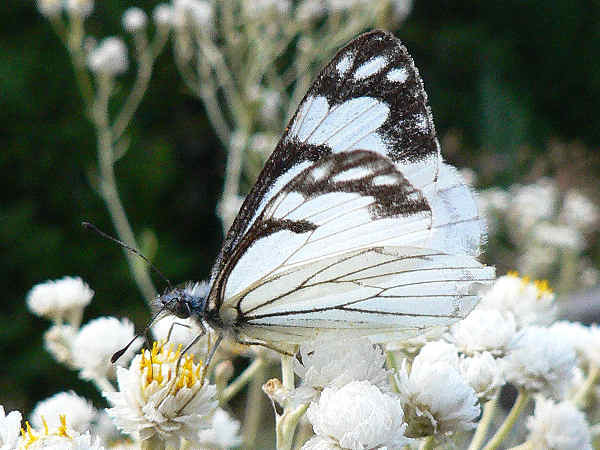 The picture shows a Pine White butterfly. They are common in forest areas and their larvae feed on trees in the pine family. Becker’s Whites and Checkered Whites are more common in the fields and desert areas around Las Vegas. Barred Yellow butterfly. Here’s a list of the rest of the white butterflies and yellow butterflies documented in the state. 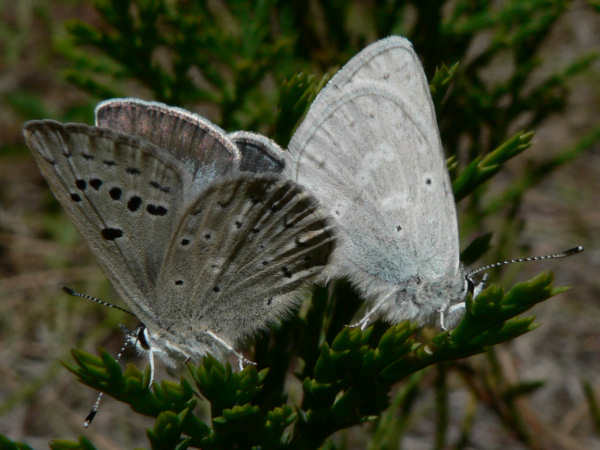 Nevada is one of a handful of states where blue butterfly diversity outpaces hairstreak diversity. Because of their small size, it’s important to get macro shots of the side view or shots of the underwings of the blue butterflies in order to accurately identify them. The picture shows a mating pair of Boisduval’s blue. Arizona visitors, especially those from the East Coast, would do great things for their butterfly life list by keeping their eyes peeled for the Admirals, Sisters and Cherkerspots. Many of the species, such as the California Sister in the picture and not native to areas of the East Coast. Other species, such as snouts, monarch, queens and some of the fritillary are common across the east. Nevada also has a nice diversity of swallowtail butterflies. 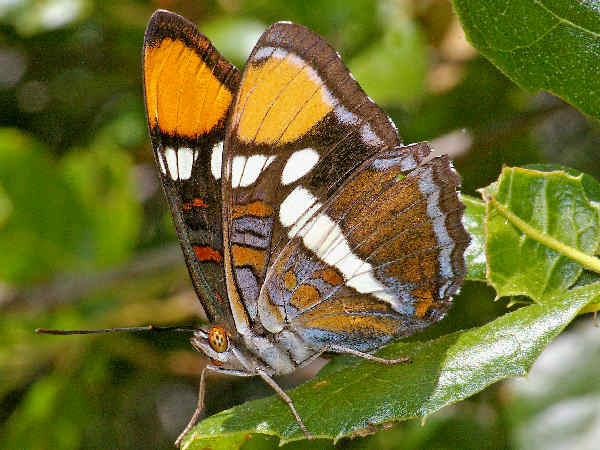 The Parnassians and Old World Swallowtail would be the best finds for East Coast visitors. 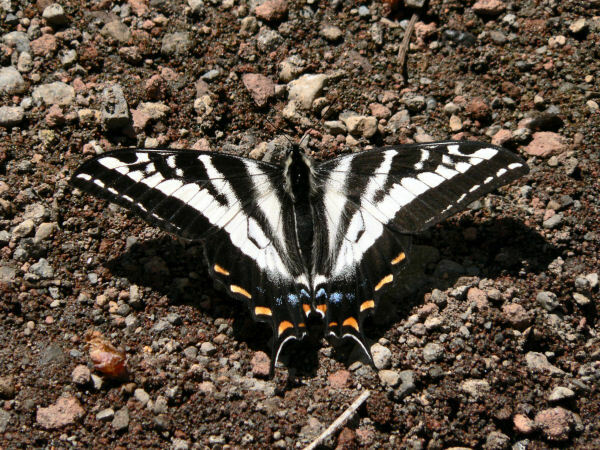 The picture shows a Pale Swallowtail. It looks very similar to the Tiger Swallowtails with and more pale yellow wing color. Metalmarks species range in size as well as having a variety of wing patterns and behaviors. One quick tip for differentiating between sexes is to look at the legs. Females have three pairs of walking legs, but males have two. Their front legs are reduced. 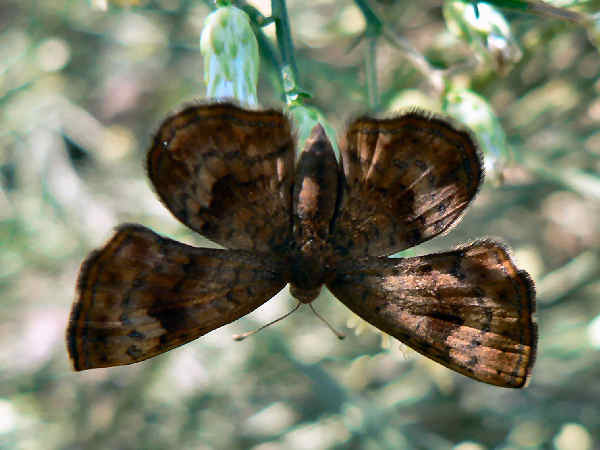 The picture shows a fatal metalmark.